Fans, players and coaches have all made public outcries in the recent weeks for more focus and support to be put into the development of the international game. This all comes of the back of a hugely successful World Cup, with more focus being drawn to the success stories of teams that don't hold Rugby League's prestigious "tier 1" status, the likes of; Tonga, Fiji, PNG and Ireland to name a few. I recently witnessed a poll conducted that posed the question "Would you rather see the expansion of Super League and NRL or the expansion of the international game?" 71% of the votes went in favour of the international game. 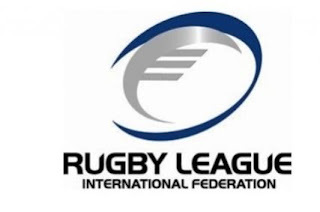 To expand the international Rugby League is not easy or cheap right now, that's why the introduction of the Emerging Nations Cup is a great opportunity for teams outside the top 20 in the World Rankings, to travel and face evenly matched opposition. Competitions like this will in the end be pivotal to the growth of Rugby League, let's hope 2018 will be the breakthrough year for Rugby League and more countries will join the growing sport.